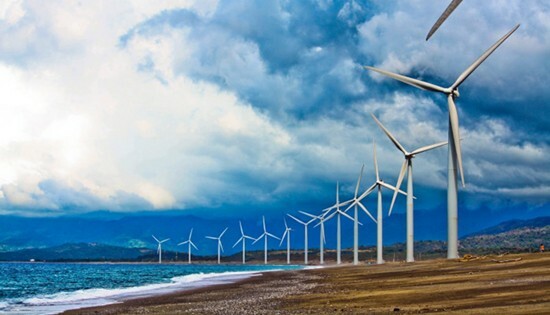 Bagui Wind Farm in Bangui, Ilocos Norte. MAKATI CITY – The Department of Trade and Industry through its Center for International Trade Expositions and Missions (DTI-CITEM) is keen on attracting more investments for the country’s booming energy sector through export promotion activities in the upcoming Hannover Messe to be held in Hannover, Germany, on April 23 to 27, 2018. “We are elevating trade and investment promotion to a whole new level as we tap our partners for inclusive growth from the energy sector in a collective participation in this world’s most important industrial tradeshow and the largest capital goods exhibition in Germany,” said DTI Undersecretary for Trade and Investments Promotion Group (TIPG) Nora K. Terrado. With the theme “Solutions for the New Era of Energy,” the energy sector of Hannover Messe 2018 will focus on innovative technologies for electric power systems to become more flexible, to intelligently connect sectors, and to engage new market participants amid an increasingly decentralized global energy chain. Hannover Messe covers the world’s five industrial value-adding chain under one roof, namely (1) energy; (2) integrated automation, motion and drivers (IAMD); (3) industrial supply; (4) research and technology; and (5) digital factory. “As a global gathering of key industry players, Hannover Messe is the prime platform to drumbeat and build up investor confidence on the Philippines as a global powerhouse of renewable energy and other relevant technologies,” said Terrado. In 2017, the Germany‐based event gathered 6,500 companies from over 70 nations and was attended by 225,000 visitors and trade buyers across the world, generating around 5.6 million partnerships, business models and other contacts. Aside from renewable energy, the Philippines through DTI will also seek to secure investments for local stakeholders in energy efficiency, conservation, and transmission in the Philippines. In preparation for Hannover Messe, Undersecretary Terrado said they are gathering a pool of 15 Philippine companies that represent the nation’s best foot forward in terms of energy systems, technology, services and other industrial goods. “Through this synergy among stakeholders, we will be able to seal partnerships with foreign investors and mobilize much‐needed funding and infrastructure to our energy players,” explained Terrado. “It will also give motivation to our local energy stakeholders to fast‐track efforts towards the mainstream use of renewable energy sources in the Philippines as more and more countries have started their industrial shift towards more sustainable power sources,” she added. Business‐matching meetings between Philippine renewable energy companies to potential investors, technology adapters, developers, suppliers and other local energy stakeholders are also expected to take place in the international tradeshow. Renewable energy is defined as energy generated from natural processes that are continuously replenished which includes biomass, geothermal, hydro, wind, solar and ocean energy under the PEP 2012-2030. It has been identified in the country’s Investment Priority Plan 2017-2019 as an emerging sector that needs government intervention particularly in export promotion. Based on a DOE’s Philippine Power Situation Report, the country’s total power capacity in 2016 is at 53.16 million tons of oil equivalent (MTOE) with renewable energy occupying the second largest share at 32.5%, only next to coal at 34.6%. The top renewable energy sources in the Philippines are hydropower (16.9%) and geothermal (8.9%), followed by biomass, wind, and solar (6.6%). Interested companies/exhibitor may contact Ms. Alex Lucas at 831-2137, or send an inquiry at alucas@citem.com.ph.